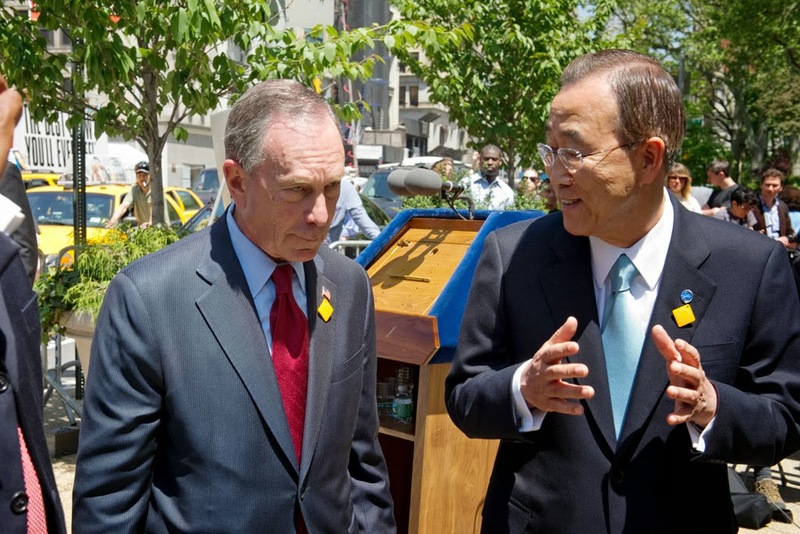 United Nations Secretary-General Ban Ki-moon announced today the appointment of Michael Bloomberg of the United States as his Special Envoy for Cities and Climate Change. Mr. Bloomberg will assist the Secretary-General in his consultations with mayors and related key stakeholders in order to raise political will and mobilize action among cities as part of his long-term strategy to advance efforts on climate change, including bringing concrete solutions to the 2014 Climate Summit that the Secretary-General will host in New York on 23 September. Mr. Bloomberg served as the 108th Mayor of the City of New York from 2002 to 2013. He began his career in 1966 at Salomon Brothers, and launched the financial news and information company Bloomberg LP in 1981. In 2007, Mayor Bloomberg addressed the United Nations Framework Convention on Climate Change in Bali, Indonesia.